Showers of meteors, in which the rate of meteor sightings temporarily increases at approximately the same time each year, have been recorded since ancient times. On rare occasions, such showers are very dramatic, with thousands of meteoroids falling per hour. More often, the usual hourly rate of roughly 5 observed meteors increases to about 10-50.
because they came from radiants in the daytime sky. All told, about 2,000 showers have been identified. Of great importance, and also fully confirmed by photographic data, is the association of several meteor showers with the orbits of active comets. As a comet travels near the Sun, it is heated and its abundant volatile ices (frozen gases) vaporize, releasing less volatile material in the form of dust and larger grains up to perhaps 1 cm (0.4 inch) across. The shower associated with a given comet thus represents debris shed from that comet along its orbit, which the orbit of Earth intersects annually. When Earth passes through this stream of debris, a meteor shower is produced. 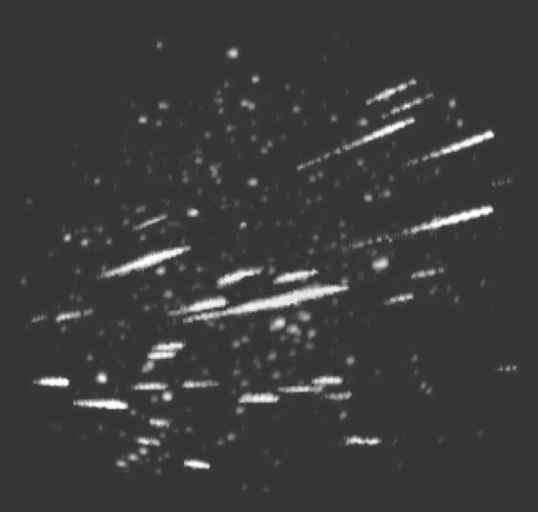 The Leonid meteor shower represents a recently formed meteor stream. Though it occurs every year, this shower tends to increase greatly in visual strength every 33 or 34 years, which is the orbital period of the parent comet, Tempel-Tuttle. Such behaviour results from the fact that these meteoroids are mostly still clustered in a compact swarm moving in the orbit of the comet. Over the next 1,000 years or so, the slightly different orbits of the meteoroids will disperse them more uniformly along the orbit of the comet. Meteor streams for which this has occurred produce showers that are usually weaker but often more consistent in strength from one occurrence to the next. Over a still longer period of about 10,000 years, gravitational perturbations by the planets will disperse the orbits of the meteoroids to the extent that their identities as members of a stream will disappear. One strange example exists of a major meteor shower clearly associated with an object that at first glance does not resemble a comet. The parent object of the Geminid shower has all the appearances of a small Earth-crossing asteroid. Discovered in 1983, it does not exhibit the usual cometary features of a nebulous head and long tail and so was placed among the asteroids and named Phaethon. Most researchers believe Phaethon is the burned-out remnant of a once-active comet, but its nature may only be established with observations by spacecraft. 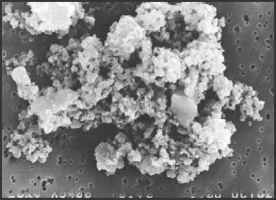 Interplanetary dust particle collected in Earth's atmosphere by a NASA high-altitude research aircraft and imaged in an electron microscope. The particle, measuring about 18 pm (0.0007 inch) in its longest dimension, is of possible cometary origin. Courtesy of D. Brownlee, University of Washington; photograph, M. Wheelock least one fragment of the meteoroid strikes a house, car, or other object that draws the attention of local people to an unusual event. Recovered meteorites range in mass from a gram up to nearly 60 tons. Most meteorites consist either of stony—chiefly silicate—material (stony meteorites) or of primarily nickel-iron alloy (iron meteorites). In a small percentage of meteorites, nickel-iron alloy and silicate material are intermixed in approximately equal proportions (stony iron meteorites). 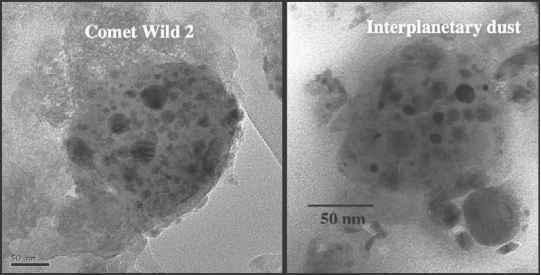 meteoroidal particles outside Earth's atmosphere with special apparatus on orbiting spacecraft, and in 2006 the Stardust mission returned dust that it had trapped in the vicinity of Comet Wild 2. When meteoroids are sufficiently large—i.e., 100 metres (328 feet) to several kilometres in diameter—they pass through the atmosphere without slowing down appreciably. As a result, they strike Earth's surface at velocities of many kilometres per second. The huge amount of kinetic energy released in such a violent collision is sufficient to produce an impact crater. 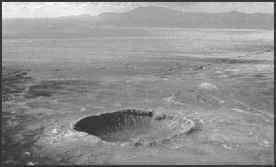 In many ways, impact craters resemble those produced by nuclear explosions. They are often called meteorite craters, even though almost all of the impacting meteoroids themselves are vaporized during the explosion. Arizona's Meteor Crater, one of the best-preserved terrestrial impact craters, is about 1.2 km (0.74 miles) across and 200 metres (656 feet) deep. It was formed about 50,000 years ago by an iron meteoroid that is estimated to have been roughly 50-100 metres (164-328 feet) across, equivalent to a mass of about four million tons. Myriad nickel-iron fragments and sand-grain-sized nickel-iron droplets have been found in and around the crater. 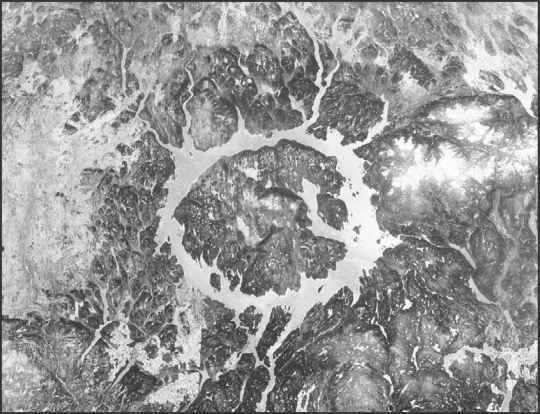 The geologic record of cratering on Earth (and many other bodies in the solar system) attests to the impact of meteor-oids much more massive than the one that produced Meteor Crater, including objects with kinetic energies equivalent to as much as one billion megatons of TNT. Fortunately, impacts of this magnitude now occur only once or twice every 100 million years, but they were much more common in the first 500 million years of solar system history. At that time, as planet formation was winding down, the asteroid-size planetesimals that were left over were being swept up by the new planets. The intensity of the bombardment during this period, often referred to as the late heavy bombardment, can be seen in the ancient, heavily cratered terrains of the Moon, Mars, Mercury, and many other bodies. million years ago, near the end of the Cretaceous Period. The most-cited victims of this impact were the dinosaurs, whose demise led to the replacement of reptiles by mammals as the dominant land animals and eventually to the rise of the human species. The object responsible for this destruction is estimated to have been about 10 km (6 miles) across, and it produced a crater roughly 150 km (93 miles) in diameter that is thought to be buried under sediments off the Yucatán Peninsula in Mexico.